debriefing after enjoying a particular book, both functions will be comfortably accommodated here. This encyclopedia hopefully presents the most comprehensive view of British crime-writing (both fiction and true crime) ever attempted. Every key writer is here, along with all the important one-shot and fringe authors. The astonishing riches of the field, with its celebrated achievements from the Golden Age of Agatha Christie, Arthur Conan Doyle and Dorothy Sayers through to modern British writers such as PD James, Ruth Rendell and Ian Rankin, are given definitive examinations. There are essays on all key writers, film scripts, lively analyses of important topics and sub-genres, from serial killer novels to the contemporary breed of tough women writers and longer discursive essays on key themes including 'Social comment in crime fiction' and 'Crime fiction and sexuality'. While British crime fiction is enjoying greater popularity than ever (and television incarnations of such Brit classics as Sherlock Holmes and Jane Marple proliferate, along with more recent coppers such as the tough Inspector Rebus), there have been few really definitive volumes that rigorously examine the genre from the Golden Age to current bestselling writers. 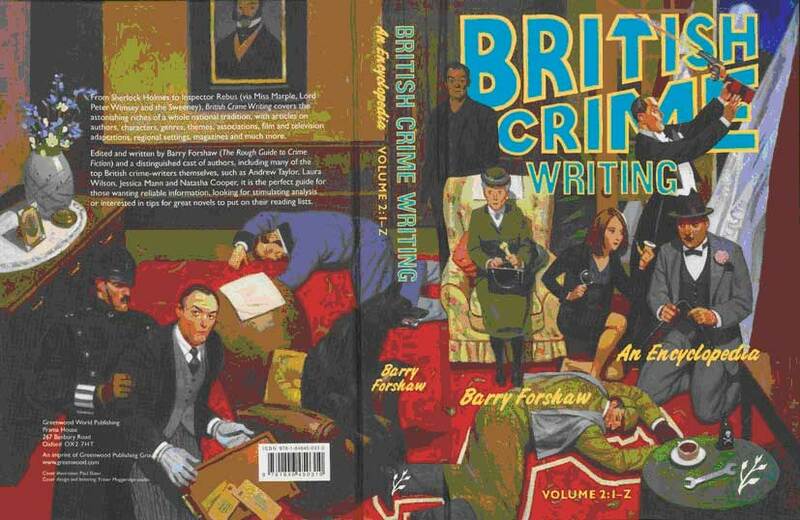 This encyclopedia presents the most comprehensive view of British crime fiction ever attempted: every key writer is here, along with all the important one-shot and fringe authors (such is the popularity of the genre that many writers of science fiction have tailored their cloth to a more profitable discipline - hence the growth in the high-tec crime thriller). The astonishing riches of the field, with its celebrated achievements from the Golden Age of Agatha Christie, Arthur Conan Doyle and Dorothy Sayers through to modern British writers such as PD James, Ruth Rendell and Ian Rankin, are given definitive examinations. And another of the great glories of British crime and thriller writing is celebrated here: the literary field, with writers such as Graham Greene and Eric Ambler considered alongside such espionage novelists as John le Carré. And there are essays on all key writers, lively analyses of important topics and sub-genres, from serial killer novels to the contemporary breed of tough women writers - the latter just as adept at uncompromising violence as the male writers whose province this has traditionally been. The approach is a synthesis of the lively and the academic – I’m hoping that this will make it the perfect guide for those seeking the perfect library of British crime fiction.